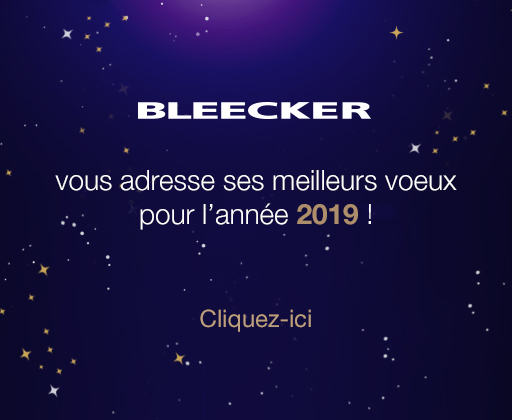 The entire website www.bleecker.fr, in particular the downloadable images, texts, logos, tables, photographs and documents are subject to French and international copyright and intellectual property law. The use of any document from this website is authorized for information only for a private and personal use. Any re-use, reproduction, re-transcription, modification that may be made for other purposes are expressly prohibited unless with the prior written consent of the publishing manager. BLEECKER reserves the right to modify, terminate, suspend or interrupt at any time, for any reasons and at its sole discretion, access to all or part of the website, including for the content, functionalities or times of availability without prior notice. BLEECKER shall endeavor as best possible to ensure the accuracy and updating of information made available on the website and reserves the right to correct the content, at any time and without notice. In addition, we warn the visitor that he or she is responsible for checking information by other means, including by contacting us. Therefore, we disclaim any liability: for any lack of precision, inaccuracy or omission relating to the information available on the website; for any damage resulting from a fraudulent intrusion by a third party that generates a modification of information made available on the website. All products, trademarks, logos and images mentioned on this website belong to their respective companies.